Bherwerre Wetland, Larmer Avenue, Sanctuary Point. 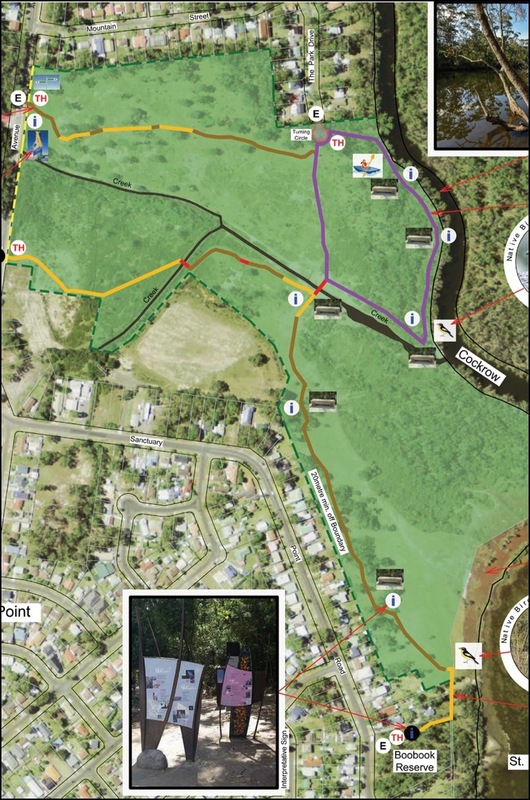 This catalogue is composed of bird species seen and heard [H] at Shoalhaven City Council’s Larmer Avenue Block and the immediate environment at Sanctuary Point. Observation surveys have been conducted between May 2014 and May 2015 to create this 2nd Edition of the bird list. Such surveys have created the first full twelve month cycle of observations. The catalogue is referenced to the BirdLife Australia Working List for Common and Scientific Names, including the ‘Species Number’ in brackets after common name. In this edition, the bird categorization of BirdLife International into Waterbirds and Landbirds is used for convenience and within each of these groups birds are listed as they are in the Working List. In the instance of the Groups for “Seabirds” and “Migratory” Birds there are no birds in the catalogue, which are exclusive to those categories. All species listed are rated “Least Concern or LC” in the Working List. However, readers should note this rating conflicts with the status of two species, the Eastern Osprey [Pandion haliaetus cristatus] and the Square-tailed Kite [Lophoictinia isura] in the Office of Environment & Heritage NSW Threatened Species Listing for the Jervis CMA Region.